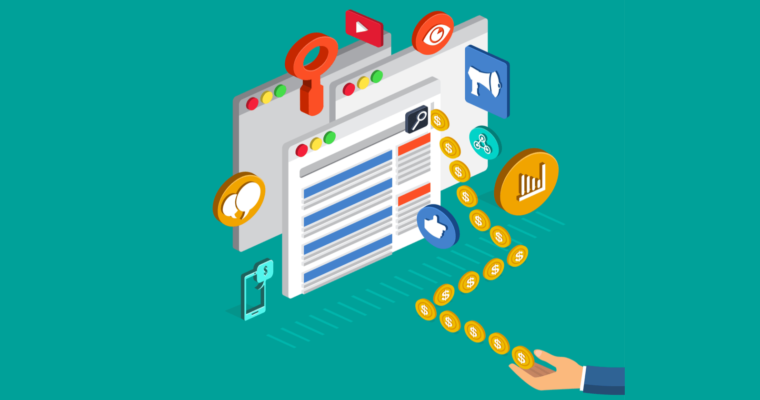 Dynamic Search Ads (DSAs) can be a powerful piece of your paid search advertising strategy. Although we’re forced to give up a bit of control, we’re able to gain back incremental search traffic with fairly minimal effort and with more confidence than if we simply added a lot of broad match keywords to our account. General rule: If you can advertise your product on search, then DSAs could be a great option for you. But there’s a slight flaw in the question that’s being asked. It shouldn’t be centered around the business and whether it’s fit for Dynamic Search Ads. It should be focused on the website itself. All businesses are a good fit for Dynamic Search Ads, but not all websites are. So how can we determine which websites are a good fit for DSA and which ones aren’t? It’s pretty simple, actually. There are three main best practices for DSA readiness: content, call to action, and information accuracy. Let’s run through each one to give you a better idea of what you’re looking for. Dynamic Search Ads are a function of your website. Everything from keywords, to ad copy, to landing pages are chosen in real-time based on the content Google finds on your website. So it’s imperative that your website has enough strong content to put your best foot forward as a company. Here are a few things to think about when determining if your content is strong enough for Dynamic Search Ads. 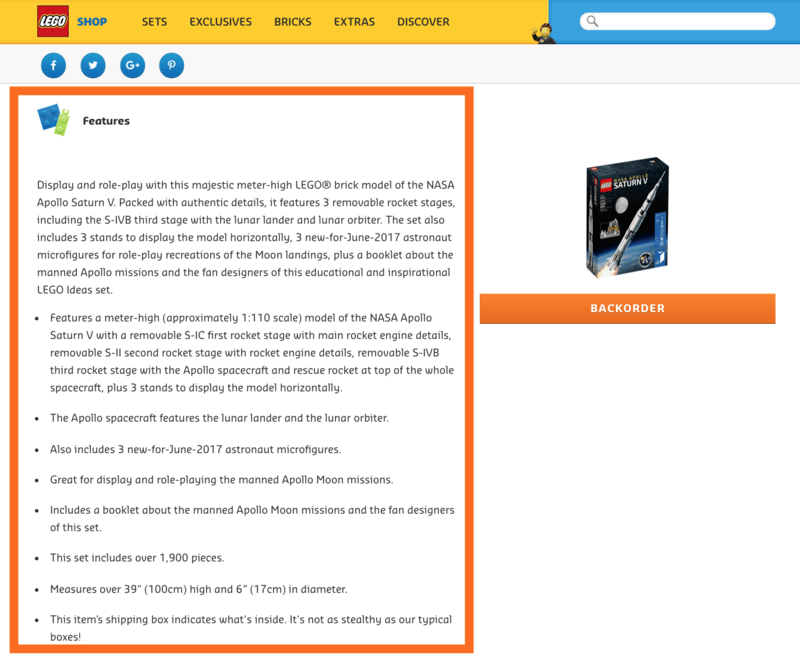 This page is designed to sell the LEGO Saturn V rocket. At the top of the page, there are great product visuals, but below it has a good amount of written text to describe the product as well. 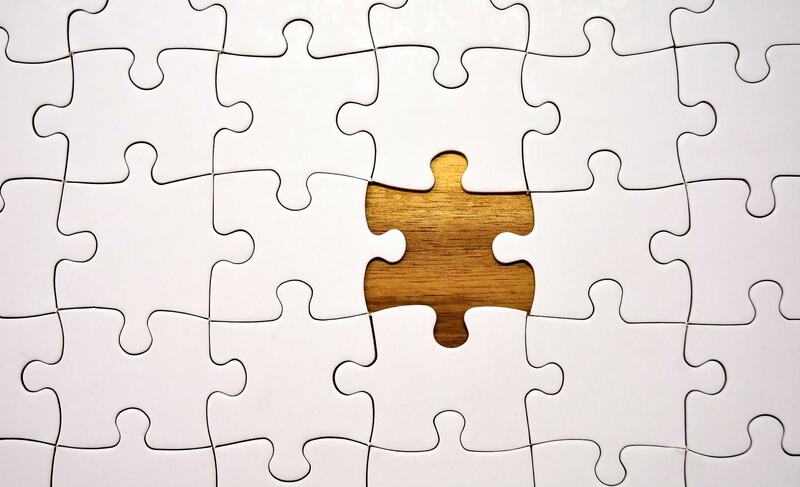 This page describes the physical product with measurement dimensions, piece counts, and more. It also gives some pretty specific details about what the model is meant to be. It’s not just a LEGO space set; it’s a NASA, Apollo, Saturn V, moon-landing spacecraft complete with three different rocket stages. Even if you don’t know what all that means, you now have a pretty good understanding of what is inside this LEGO box. And that’s the point. If you can get all of that information by reading this page, so can Google. 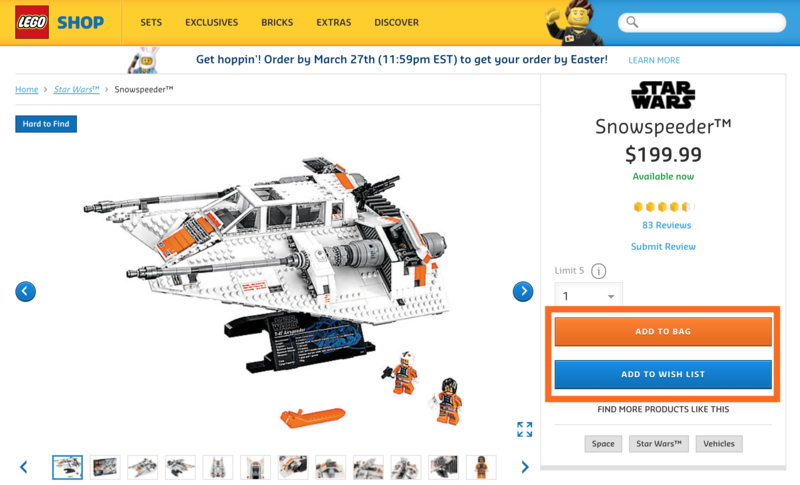 Buzzwords can be great for getting folks to fill out a form when you’re driving them to a specific landing page, but with Dynamic Search Ads they might end up being more harm than good. If your site does contain a number of buzzwords to get people interested, remember that with DSAs these words aren’t used just to determine a landing page. 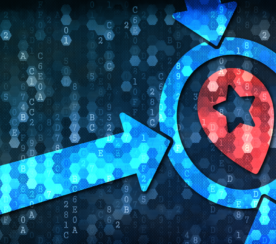 They’re used for choosing which queries you map to as well as the ad copy shown to the user. Although you might have legitimate reasons to make the claim: “synergistic growth hacking is our core competency,” it might not be something your potential customer thinks is valuable and could lead to some strange search queries and ad copy. Another common struggle with websites using Dynamic Search Ads is the movement to make all things visual. Rather than writing a paragraph about their business, they’ll more easily show it in a graphic. Now, this isn’t necessarily a problem for the website. Most users aren’t interested in spending time reading a paragraph or a few bullet points if you can sum it up in an image. But for Dynamic Search Ads, using that image can mean the difference between a viable page and a useless one. If there’s no text for the tools to find, then your ad won’t be triggered by potential relevant queries. If you find your site relying more on images to tell your story, you might not be a good fit for DSA. Now that you know your site has (or doesn’t have) enough supporting content for the Dynamic Search Ads tool to function, it’s important to know if that content, or any other information on your site, is up to date. If the information on your site isn’t reflective of your business as it stands at the exact moment a query triggers your ad, you could be misleading your customer base. This is a common best practice for all digital marketing, but some companies can get away with outdated information on their site by using landing pages for paid traffic. Since DSA is a function of your website itself, this isn’t an option. For e-commerce stores, this is fairly straightforward. Does your site reflect the product inventory you have? Are your prices, discounts, and shipping rates up to date? If you’re out of something, does it show that information on your site? These are all considerations that your Shopping Campaigns are also usually taking into account. Lead generation is a bit different. For many lead generation businesses, the website isn’t alive with the constant changes being made each time someone purchases a product. If anything, lead generation websites can often go without changes for quite a long period of time. 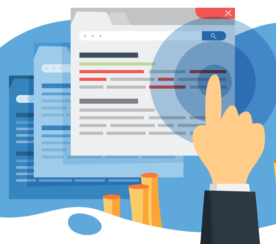 So before you think of running Dynamic Search Ads for your lead generation company, it’s important to review all of the products, services, and supporting material on your site to ensure it’s up to date and that you aren’t misleading potential customers. Having proper calls to action are a major factor in determining if you should utilize Dynamic Search Ads. One of the main points of a well-optimized landing page is that it has a strong, clear call to action. The idea is for the user to land on the page, get all of the information they need, then to fill out the form or make the purchase directly from that page. In its best form, it’s a one-stop shop. 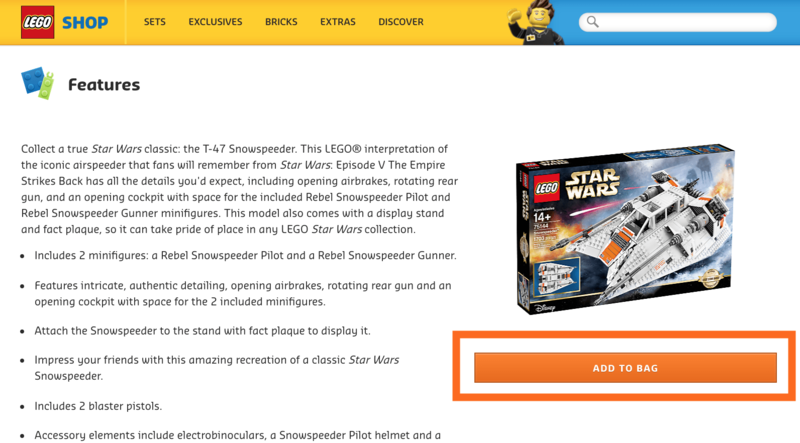 For Dynamic Search Ads, that ideal is no different. On this page, for example, it’s pretty clear what you’re supposed to do. They want you to look at the product, then add it to your bag or wishlist. A pretty strong page for Dynamic Search Ads. But stop and think about your website. Not just the landing pages you’ve crafted specifically for your campaigns. Your actual website. E-commerce folks again might still be in the clear here as most product pages have some form of call to action if the site is worth its salt. But for lead generation sites, how many of your pages have a clear call to action on them? If they do have a call to action, is it the one you want? Many times these main website pages have some form of “Contact Us” always present in the footer of the page, but that’s not necessarily the action you want them to take. It’s also not necessarily the action your potential customers will want to take either. Depending on what you’re trying to sell, a “Contact Us” offer from a Dynamic Search Ad might be asking for way too much on the first contact. Maybe they’re better off with a whitepaper download at this point. This isn’t necessarily a make or break for DSA, but it’s something to think about. What About a Mixed Bag? 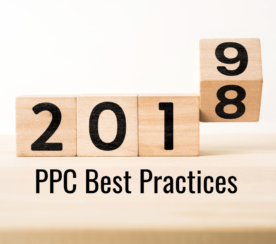 If you find that you’ve got a mixed bag of pages – some that would and some that wouldn’t work for Dynamic Search Ads – then it might benefit you to do a deeper dive into your targeting options. There are quite a few options for filtering your pages within DSA campaign targeting right within the Google interface. These can be based on page content, page title, and more using a “contains” function. Additionally, you can utilize a new tool for Google called a Page Feed where you give Google a list of URLs you would like them to use for your Dynamic Search Ads. You can then choose to include only those pages that are a good fit for DSA. Even if your entire site isn’t a great fit for DSA, with a little work, it can be. Dynamic Search Ads are right for any business model you have, but your website might not be a great fit. Take some time to review your pages to ensure each has strong content, is up to date, and has a clear call to action. And, if it doesn’t, there are still options available.